Climate Change Adaptation & Resilience – GPI | Greenman-Pedersen, Inc.
Changes to the climate system impact communities in different ways. Human lives and infrastructure are vulnerable to sea level rise and extreme weather events which have been intensifying in terms of magnitude, duration, and frequency. At GPI, we recognize that well planned, early adaptation action to prevent or minimize damages may save lives and money later. We are enabling our clients and the communities they serve to be more resilient to the adverse effects of climate change by offering a wide range of planning and technical solutions. 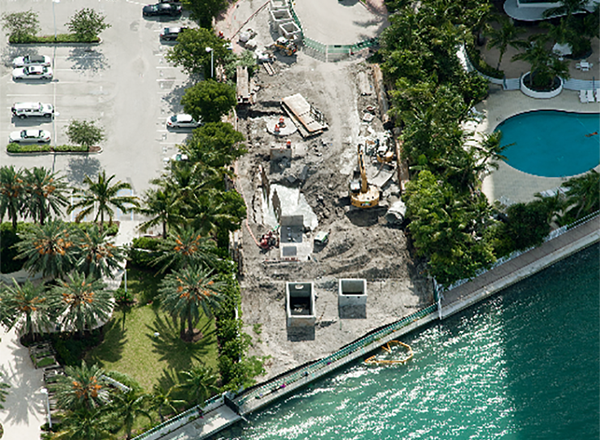 Miami Beach is one of the world’s most vulnerable cities to rising sea levels from climate change, according to OECD, the international Organization of Economic Cooperation and Development. The city frequently experiences flooding along several roadways adjacent to its waterways during periods of high tides. 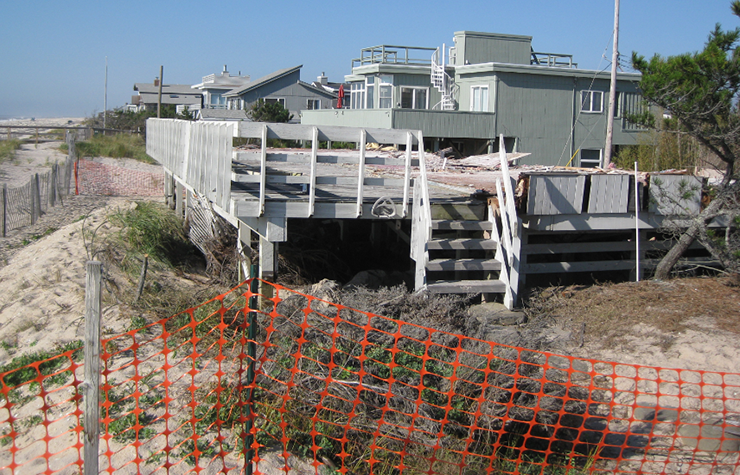 GPI, in cooperation with Bergeron Land Development, engineered and implemented creative solutions to combat the rising tides that impact local streets. These efforts include a complex pumping system and associated roadway and neighborhood improvements. 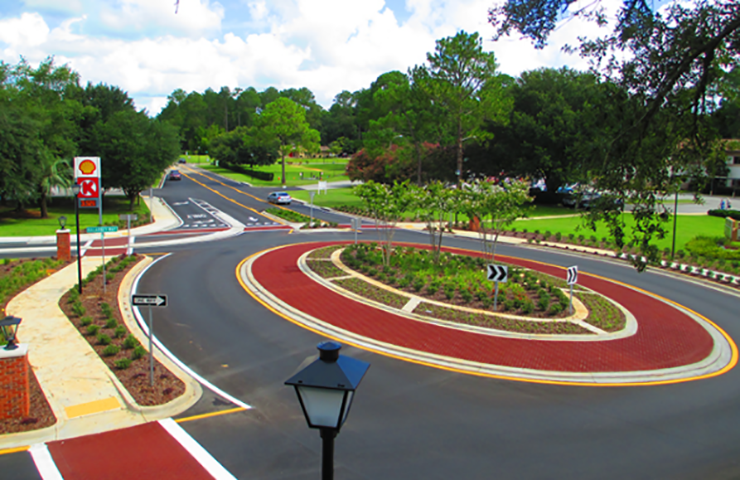 This project was recognized for the 2015 Team Project of the Year Award by the Florida Association of County Engineers and Road Superintendents (FACERS), the 2016 Best Water/ Environmental Project by ENR Southeast, and the 2016 FTBA Safety Award of Superior Achievement. GPI conducted a comprehensive emergency preparedness and evacuation planning study to identify the demand parameters for adequate transportation infrastructure. The study area comprised the Hamlets of Shirley, Mastic, and Mastic Beach, a peninsula situated between Carmens River and Forge River located in the Town of Brookhaven along the south shore of Long Island. The study involved the inventory and analysis of existing transportation infrastructure and the development of a transportation system evacuation plan to address incident demands caused by the need to evacuate the general population within a sensitive flood plain area. This study identified, evaluated, and established the benefit/cost priority for future improvements and prepared conceptual designs of selected alternatives. The study conforms to standards and procedures for conducting regional evacuation studies utilized by the Federal Emergency Management Agency (FEMA) and the U.S. Army Corps of Engineers. GPI performed civil and transportation engineering, environmental/coastal processes, aerial photography, base mapping development, and ITS design. GPI was assigned 36 parcels in the communities of Saltaire and Atlantique to develop dune easement maps. The effort included property research, survey control, topographic survey, boundary survey, and development of 36 easement maps in accordance with Suffolk County mapping standards.